Bully (Boy) for the Blizzard » Harrumph! Those whose parents trundled them off to factories to watch candy bars, Q-TIPS® or Fords being made, know there is a more adult alternative. 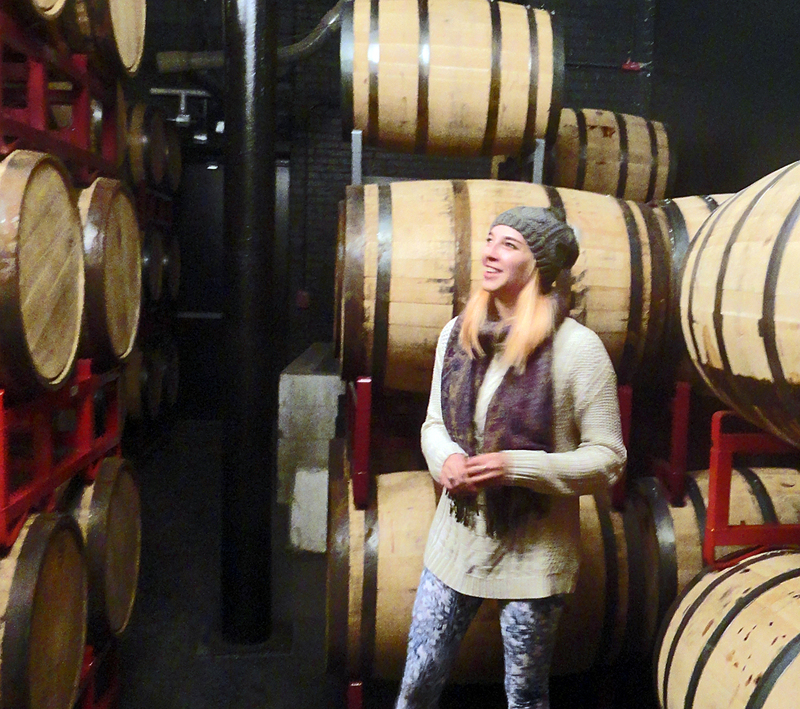 We skidded six and one-half miles in a blizzard this afternoon to keep our tour appointment at Bully Boy Distillers. I took notes and intended to write up a walk-through. Then I saw that Boston Bar Hopper had already done that, with pix and product descriptions. You should go there and enjoy that. Our tour guide Alex knows more about cooperage and barrel aging (first American Whiskey for 3 years the dark rum for 3) than you or I. Cost, origin, legal requirements, reasons for using them for this or that drink. Listen and learn. 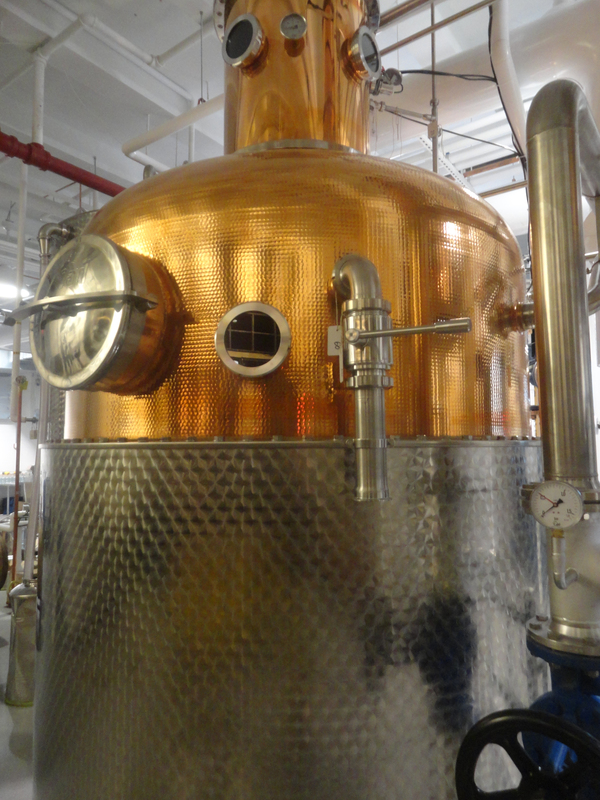 The new site centers on a 750-gallon still. The old 150-gallon is across the street and for gin. The rums and whiskeys start here. Paired with the still is a bubble column for drawing off the booze at various proofs. They might be at 160 proof (80% alcohol) before dilution and barrel aging. By the bye, Bully Boy used the great Boston water via the Quabbin Reservoir (we concur). 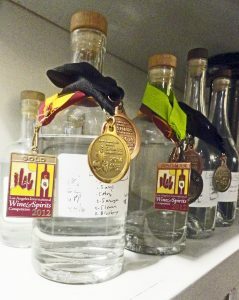 Subtly on the shelves below the antique bottles from great-granddad’s speakeasy hooch are some Bully Boy bottles adorned with some of their many medals. The barrel room for aging has maybe 120 of them. Whiskey and dark rum sit for 3 years in one of these. They hold 53.5 gallons each (roughly 300 bottles). After the whiskey has aged, the same barrel ages dark rum. After another 3 years, they sell the barrels to craft-beer makers. 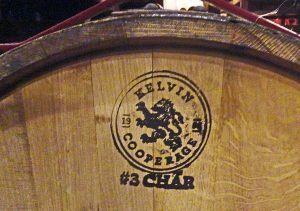 The specific oak for the barrels is now rare and the barrel prices have roughly tripled. Alex said they locked in a very good rate years ago for the handmade barrels. In the Bar Hopper post and on the Bully Boy site, several great tidbits thread through. Apparently the Willis guys, Will and Dave, had a fascinating great-granddad. The latter was a college classmate of Theodore Roosevelt (must have been Harvard the Fly Club). He apparently was a bootlegger who ran a speakeasy. They guys found a walled-in room in his basement chock-a-block with old booze, with known names like Bacardi and gone ones like Very Old Cow Whiskey. The distillery displays some of these. They named their business for their ancestor’s favorite draft horse, a gigantic beast named in turn to Teddy’s, “Bully!,” catchphrase. To our particular blizzard experience, we loved getting samples of the eight current Bully Boy products at one time in one place. Alex started each of us by putting a light cocktail in our hands before we began. It was the prepared Hub Punch from a found 19th Century Boston recipe mixed with something like ginger ale…a harmless diversion while we gawked at the distilling hardware and watched Alex’s little beagle in the next room. American Straight Whiskey – really the lead booze of BBD, it is kind of like bourbon but not as sweek because it hkas 45% rye. The dryness offsets any innate sweetness. My wife and I both like this, although I’ll take a good bourbon (think Woodford reserve) in the price range. 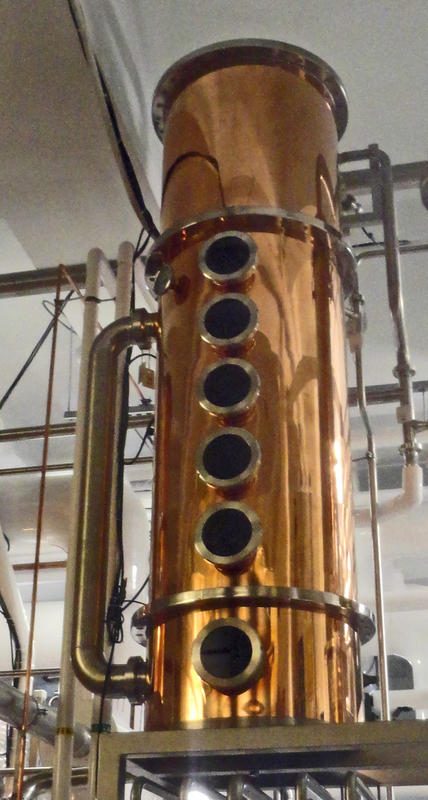 White Whiskey – fundamentally milder, safe moonshine (only 40%/80 proof). Not barrel aged. My wife liked it. I found it oily, like tequila. Boston Rum – their dark rum is beautifully aged and complex. We both liked it. White Rum – pleasant, harmless, good for mixing, but a taste and smell weak cousin of the dark version. Vodka – made with corn. This extremely smooth vodka could easily sneak up on you. 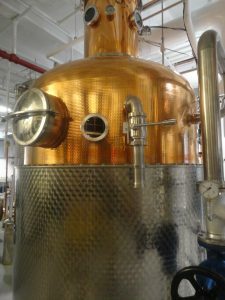 Estate Gin – my wife has gotten to like gin, particularly American-style botanical varieties such as Berkshire’s Ethereal limited edition ones. Hearing the description of this one, she really expected to love it. Alas, she figures they used too many herbs or the wrong ones. I found undertones of sharp flavors, like a cinnamon bite. Hub Punch – one of two gimmicks to my way of thinking. This is what we got at the sart. By itself, it is too thick and sweet. As a cocktail, you could do a lot better with their American Whiskey or Boston Rum. The Old Fashioned – not a bad gimmick. This is a premixed cocktail and a pretty good one. Fortunately for the tour, each taste was a splash. No one got tipsy and we got to consider each of the eight samples without them stepping on each other. When a single whiskey at a bar can cost $10 or $20, $10 for the eight samples was a good deal. Plus, we got snappy patter.